The day Marie-Claire walks into PJ's life, everything changes. 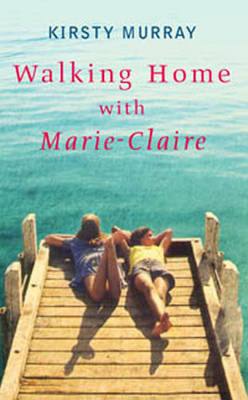 Whether they are wagging school or just hanging out on the beach, Marie-Claire can make any day an adventure. She's funny and unpredictable and full of good ideas - well, they seem like good ideas to start with. But why won't she let PJ visit her house? What really happened to her older brother? And why won't she listen when PJ tries to steer them out of trouble?Walking Home with Marie-Claire is about being brave and crazy and loyal. It's about making the wrong choices and doing the right thing. It's about the stories girls tell and the secrets friends keep. It's about growing up and still being yourself no matter what.